Have you seen the stunning images that Cassini sent back to Earth? If you are wondering who Cassini is, what images to Earth, eh.. you better check them out cause they are literally out of this planet. Why am I telling you all this? Because "Farewell Part A." feels like "music data" that Cassini might have sent back to Earth. This track is chilled, spacious and suitable for the immensely vast lands of Saturn. Imagine yourself orbiting around Saturn, a planet nine times larger than Earth, while listening to this cosmic song by Audio Treats and witnessing such natural phenomena. "Farewell Part A." 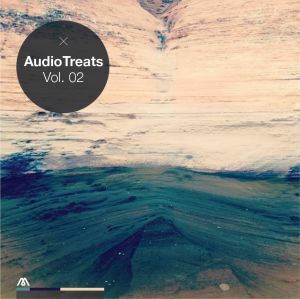 is from Audio Treats latest release - Vol.2 which consists of five tracks. Haein Lee has made it available for free download so please if you do download it for free, it would be really nice to show him your support by sending a message, sharing the post or any other way you might find suitable. Thank you.